Show dynamic checkout button - show dynamic checkout button so customers can checkout quicker. For more information check out the Shopify documentation. 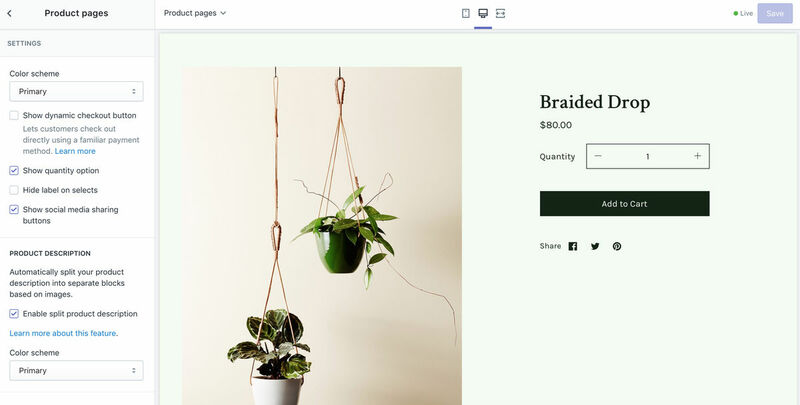 Enable split product description - automatically split your product description into separate blocks based on images. View our guide on how to do this.